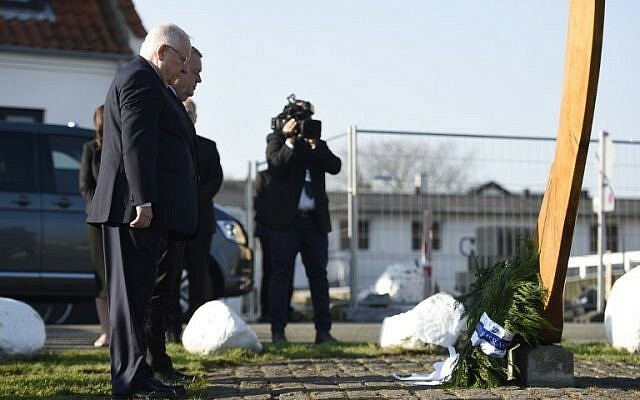 COPENHAGEN, Denmark (JTA) — All over the world, Holocaust commemoration events follow a certain protocol. Somber affairs where participants dress in dark colors and modestly, they usually feature a soulful rendition of the “El Malei Rachamim,” prayer, or Merciful God, sung by an anguished cantor who names Nazi death camps and the horrible ways Jews were murdered there. Less traditional ceremonies may include a low-key mourning song, often from Israel, and “Hatikvah,” the Israeli national anthem. Not so in Denmark, the world’s only country where nearly all the members of the Jewish minority were rescued from the Holocaust by the local population in a grassroots operation that involved thousands of people. It culminated 75 years ago when 7,200 Jews from the Nazi-occupied Scandinavian land were ferried aboard small ships to neutral Sweden in a matter of just a few days. 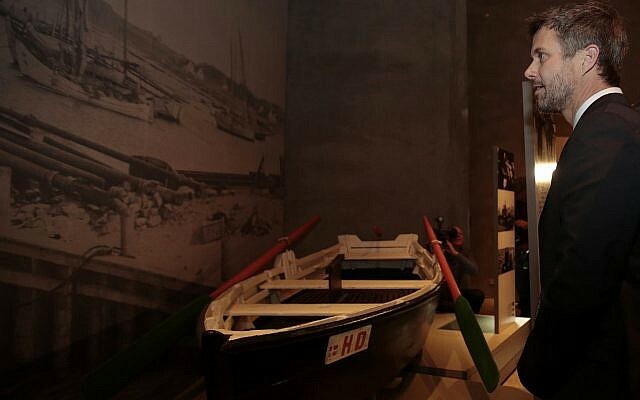 The annual commemoration here occurs on the anniversary of the rescue. There is mourning for the 51 Jews from Denmark who died in the genocide. But it is mostly a cheerful event where one unique community unites to celebrate its rescue amid song, backslapping, expressions of gratitude and, sometimes, a festive communal dinner. This was certainly the case last week on the 75th anniversary of the rescue. 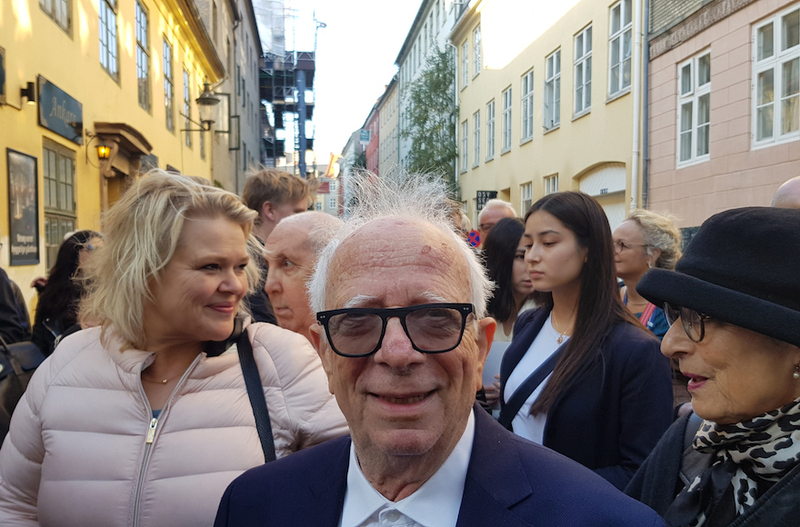 On Oct. 11, hundreds filled the Great Synagogue of Copenhagen to capacity, greeting their Crown Prince Federik with a silent ovation and Israeli President Reuven Rivlin with a roaring one. Susanne Bier, an Oscar-winning Jewish director, wore a tight red dress reminiscent of gala wear. The ceremony ended with an upbeat performance by a girls choir from a Jewish school singing “Ya’ase Shalom” and a patriotic Danish song penned by national writer Hans-Christian Andersen. 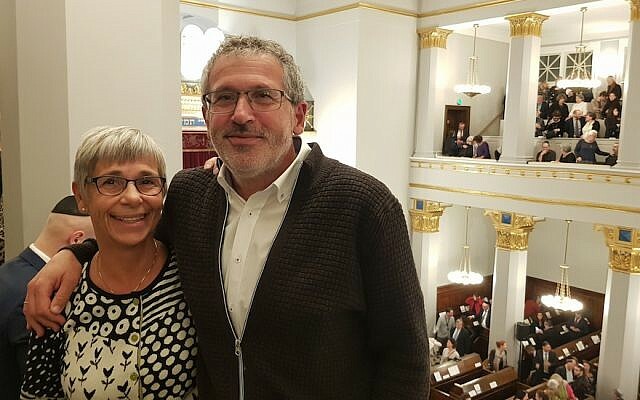 Fromberg and her husband, Norway-born Thomas Gorlen, celebrate how the Danish resistance movement made the country a more hospitable place for its Jews right up to the present. The couple, who lived together in Norway, are “very happy we ended up settling in Denmark and raising our children here,” Fromberg said. Denmark’s history means that “the Jewish community is more self-assured and belonging” than in countries where Jews were killed by the Nazis, most often with significant collaboration by locals. There are other ways in which what happened in Denmark contrasted with the rest of Nazi-controlled Europe. Annelise Tchernia, 79, recalls finding her family’s home “exactly as we left it” after she and her parents returned from Sweden. They had spent at least three years there following their escape, which was carried out with the help of their family doctor, the late resistance hero Borghild Andersson. Andersson also took care of Tchernia’s childhood home, letting those in need of housing stay there — but under the condition they leave as soon as the owners return. Whereas some Danish Jews did lose some property during their absence, its return in full to others is almost unheard of anywhere else in Europe, where countless survivors and asylum seekers who returned were turned away, some with deadly violence. In Denmark, concern for the Jews ran all the way to the top. Danish Prime Minister Laros Lokke Rasmussen echoed those words during his Oct. 11 speech at the synagogue. Still, Danish Jewry’s rescue had less photogenic aspects. Many of the fishermen and sailors who transported the Jews to Sweden across to Oresund Straits demanded payment, in some cases the equivalent of thousands of dollars. Tchernia remembers that on the eve of her family’s departure, her father called his bank manager after hours to receive enough cash to pay for the boat ride. But she is not bitter. Tchernia’s father had looked for a crossing point for days before he found the captain, she said. At one point her father arrived in Gilleleje, a fishing village 40 miles north of Copenhagen, where locals hid 86 Jews in an attic before the Nazis discovered them. A refugee from Russia who grew up hearing about pogroms, the father “took one look and said there were too many people in one small place,” and took his family elsewhere, Tchernia said. 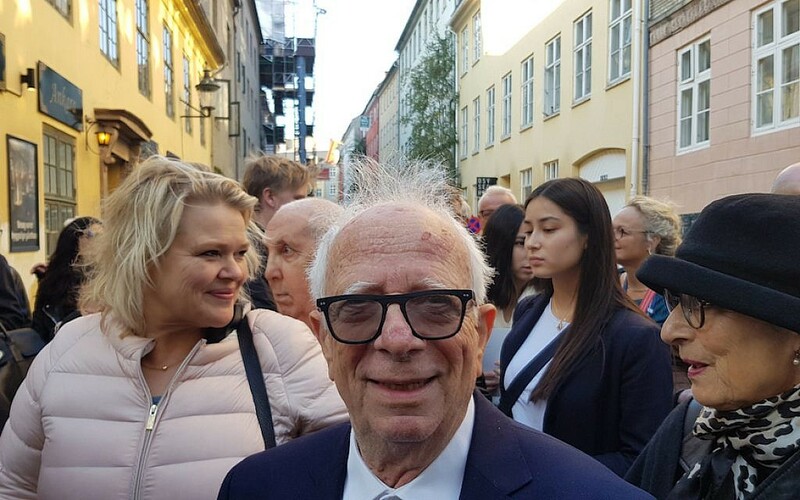 On Sept. 26, the Hebrew calendar anniversary of the crossing, she and dozens of other Danish Jews attended a re-enactment of the rescue organized by Rabbi Yitzi and Rochel Loewenthal, the emissaries of the Chabad movement in Denmark. The event featured a klezmer band and testimonies by survivors like Tchernia. Despite the gratitude she feels to the Danes who saved her family, Tchernia and others living in Denmark today say the tolerance that inspired the operation has diminished following a backlash against Muslim immigrants. Over the past decade, Denmark has developed some of Europe’s strictest immigration policies, which The Washington Post last year called “a Muslim ban [that] was just called something else.” The country is now preparing to vote on a parliamentary resolution whose premise is that nonmedical circumcision of boys is a form of child abuse. Rochel Lowenthal wonders if the Danish Holocuast story would have been different had the country’s Jews, like today’s Muslims, been more easily identifiable as outsiders.